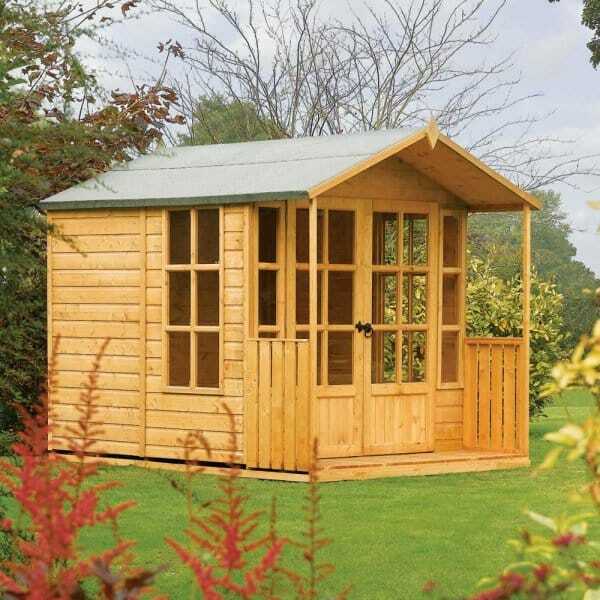 Rowlinson Arley Summer House: This traditionally designed summerhouse would look perfect in any garden. Featuring double doors, two opening windows and the veranda and canopy, makes this a practical yet stylish summer house. Showing 2 of our total 4 reviews, with an average rating of 5 stars. Read all 4 reviews for Rowlinson Arley Summer House with Covered Veranda. Review - Exactly as described, best price on market. Would look at this brand from this compan when I need another similar product. Exactly as described, best price on market. Would look at this brand from this compan when I need another similar product.